Back to school shopping on clothing and supplies doesn’t have to cost a fortune when you apply some of these simple tips and ideas. Go through all the school supplies you have at home and make a list of them. Also, check to see what your child brought home on their last day of school to see if any of it is reuseable. Go through all of your child’s clothes to see what fits and what doesn’t. Figure out how many pairs of pants and shirts they will need for a week. List Making: Make a list of needed items. 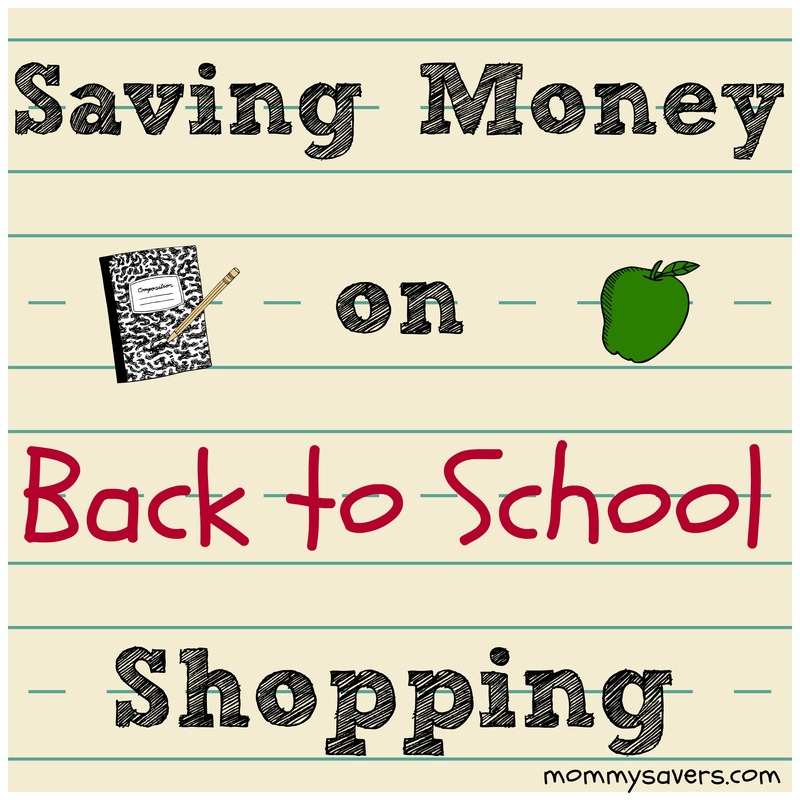 Start with school supplies and work your way down to clothing. Your list should contain the most important item needed at the top (#1) and least important should be at the bottom. Envelope System: Take a certain number of envelopes and label each one (example: lunch supplies, clothing, school supplies, sporting goods, etc). Put a set amount of money in each and when you go shopping you only use that money that is designated for that type of product. When the money is gone from the envelope, you’re done shopping and you won’t go over your budgeted amount. Swap Day: Do a “Back to School” swap with friends and family where everybody brings a certain number of no-longer needed items to exchange for items that they do need, all for free. Sale ads: Check in your newspapers especially the Sunday edition, this is where a lot of the store ads will be in. Cross check each store to see what is on sale and who has it cheaper. Don’t get the newspaper or don’t want to buy it at the gas station, ask a friend, neighbor or family if you can borrow theirs. If you have internet access you can view most store sale ads online. Price-Matching: A lot of the retail stores do price-matching. Just show the ad at the checkout to get the item for the sale price that another store has on sale at a cheaper price. Just be sure that the store you shop at does this, it’s a good idea to call and find out. Coupons: Check your local paper for coupon inserts or go to coupon sites like Coupons.com, RedPlum, SmartSource and Target. This time of the year you will start to find coupons for Crayola, Sharpie, Post-Its and more. You can also check out the Web sites of your favorite manufacturers. Often they’ll have printable coupons right on their site or check their Facebook page. Stores Email Lists: Sign-up to your favorite shopping stores and get exclusive emails on free shipping, special deals and extra percentage off coupons and codes. Online Shopping #1: Check out retail stores online, sometimes prices can be cheaper than at the store. Plus, they will also offer free shipping to the store or to your home. Online Shopping #2: Amazon.com is another place you can order school supplies, food for lunches and school uniforms. Online Shopping #3: If you do online shopping be sure to go to Retailmenot.com for all the hottest deals, best coupon codes and printable in-store coupons. Ebates.com: When you shop through their links, you’ll get cash back at any of their partner stores. Sign-up HERE. Shopkick App: Download this app to your phone and every time you check into local merchants you earn points towards gift cards. Sign up for Shopkick. ibotta: An easy way to earn cash every time you shop. Sign up for ibotta. Reward Programs: Office supply stores have where you can earn free items or where the items will cost just a few cents. The programs are usually referred to as “Free After Rebate’ or “Free After Reward”. Some of the programs do require you to have a membership, but they are normally free. Tax Free Weekends: Many states and local governments offer special tax free shopping days. During these days you won’t pay state sales tax on certain items. Go HERE for states that participate. Garage Sales/Thrift Stores: Look for gently used clothing, backpacks and other items. Goodwill receives a lot of Target clearance items with the tags still attached. Thrift stores will even have half-price or bag days. Once Upon a Child/Plato’s Closet: These places sell secondhand brand-name clothing for less than retail stores do, but you do need to know your prices and what is a good deal. Office Stores: Staples, Office Max and office Depot have great prices on school supplies and offer Reward Programs where you can even score items for free. Grocery Stores: They sell more than just grocery products and will have deals on free backpacks or lunch bags (they normally do require some type of purchase). HyVee is one of many stores that do these type of deals. Warehouse Stores: Sam’s Club and Costco can sometimes save you more money on basic supplies such as pens, pencils and paper. Just be sure to know if the breakdown price is cheaper than if you bought it at a reg. retail store. Sports Equipment: Stop in at Play It Again Sports where you can find used equipment (that has been checked over) for a fraction of the price of buying new. Kohl’s: If you have a Kohl’s card be sure to use the extra “%” off coupons with the clearance items, the savings really add up when you do this. End-of-Summer Sales: Shop these sales to get regular priced merchandise at deep discounted prices. Stores run these sales to make room for new merchandise. Stocking Up: If a certain supply item is on sale for a great price and it’s something that is used a lot, stock up now for the whole year. Expensive Calculators: Certain high school and even junior high classes require scientific calculators. Call your school and ask if they have a lending or renting program for them. Save Receipts: If you buy items now and within a few days those same items go on sale for a cheaper price, some stores will do a price adjustment. Be sure to save your receipt otherwise this will do you no good. Most Importantly: Stick to your shopping list and your budget. If you need to, go shopping by yourself and only take the kids if they need to try certain clothing items on.